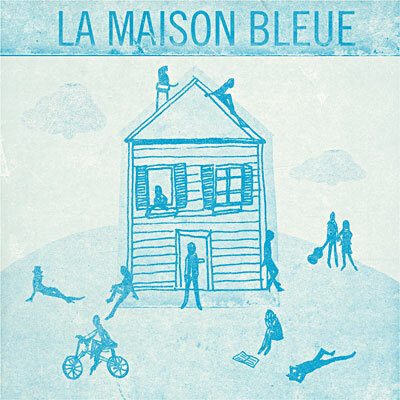 Named after the Victorian blue house described in one of its most famous numbers ("San Francisco"), La Maison Bleue sees a whole host of French artists pay tribute to Maxime Le Forestier's influential 1972 debut, Mon Frere. The original 11 tracks, many of which have entered French folklore, have been re-recorded by the likes of Salvatore Adamo ("L'Eduation Sentimentale"), Juliette & Francois Morel ("Parachutiste"), and Emily Loizeau ("Ca Sert a Quoi?") on an affectionate homage released in time for its 40th anniversary.